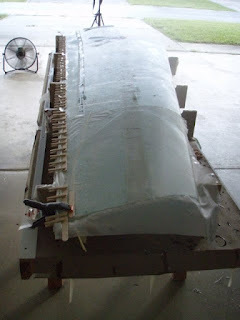 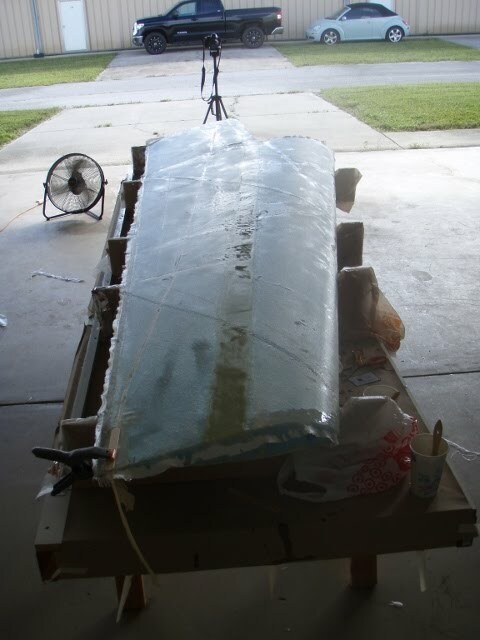 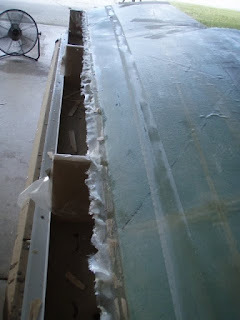 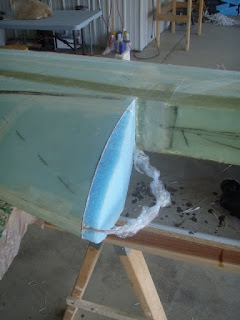 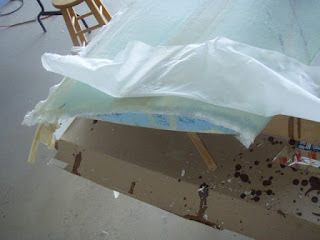 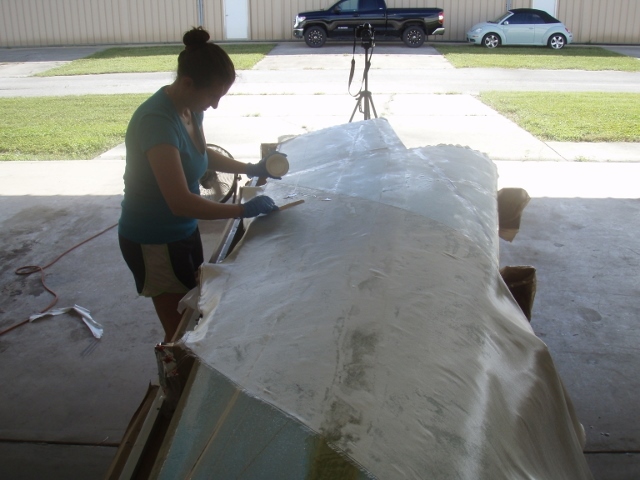 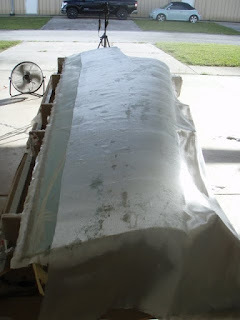 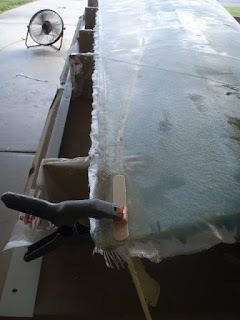 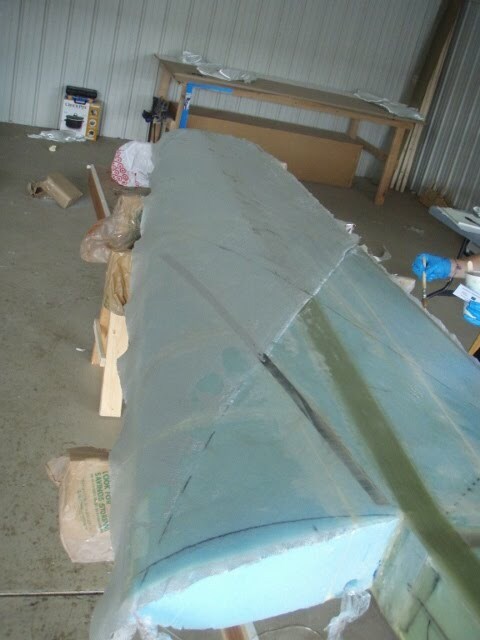 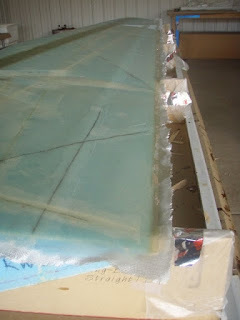 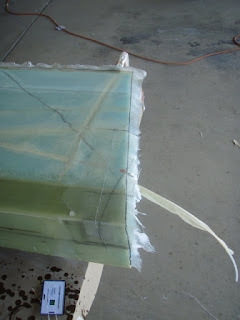 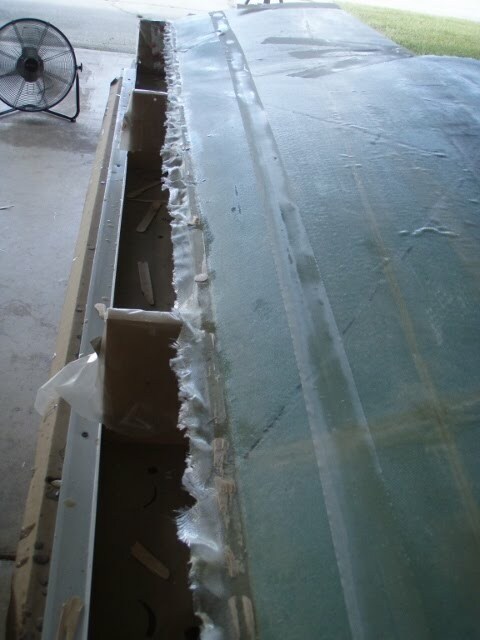 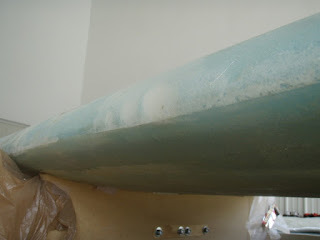 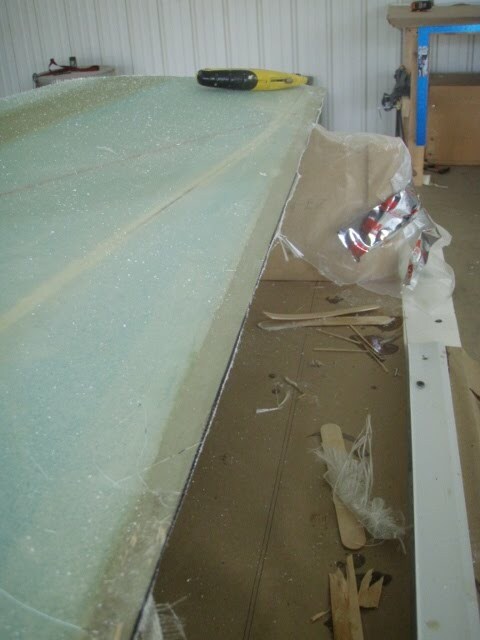 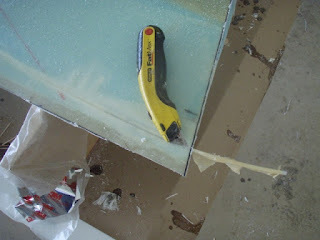 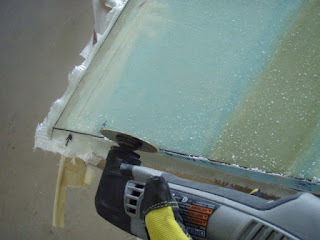 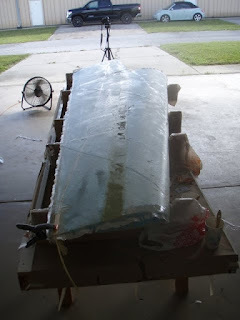 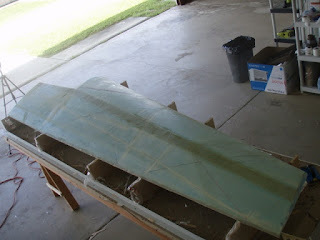 With everything prepped, it was now time to glass the right wing's top skin. 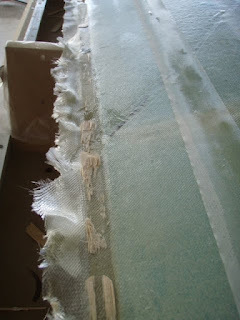 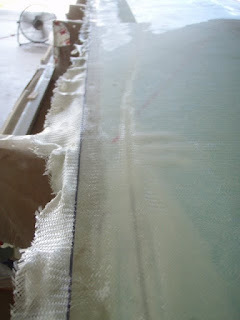 I had previously cut out the UNI plies required for the layup. 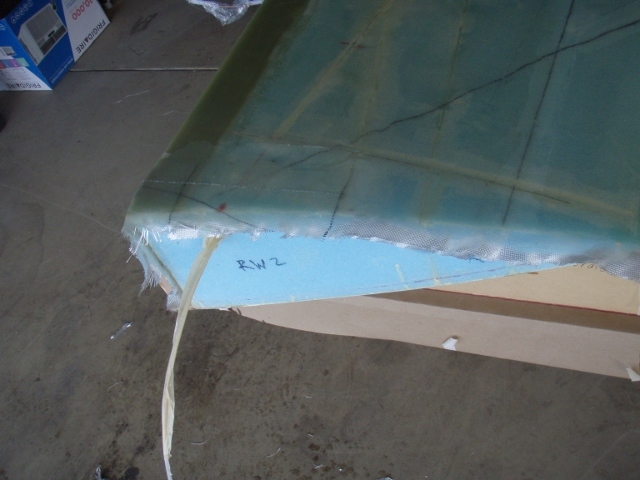 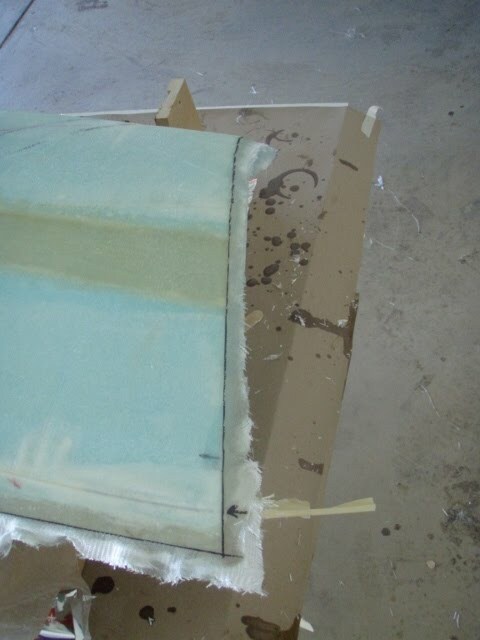 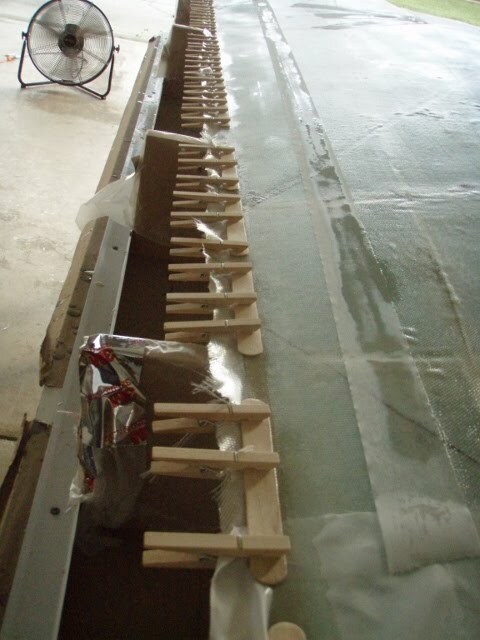 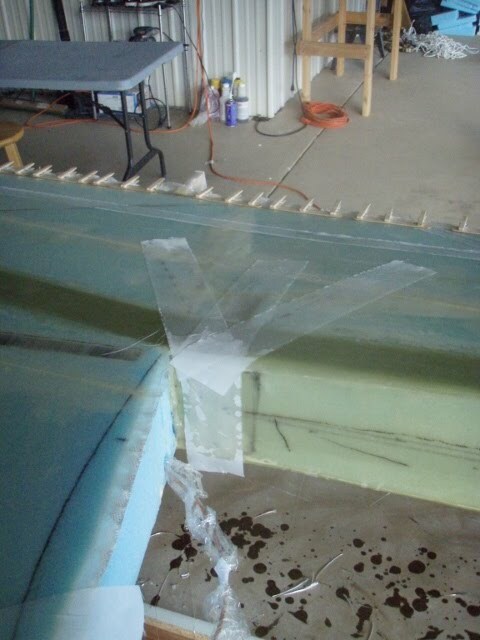 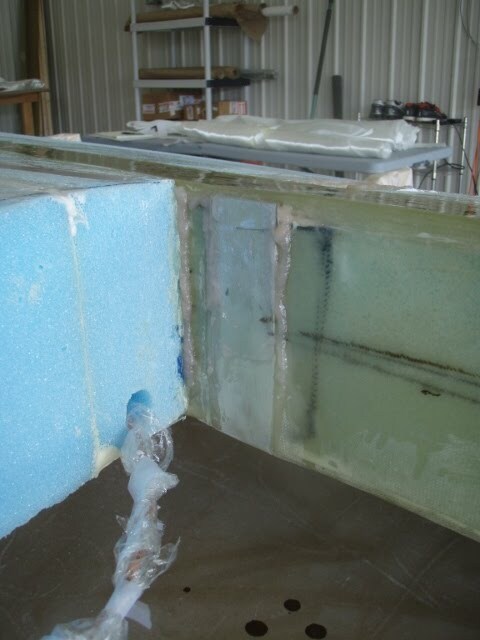 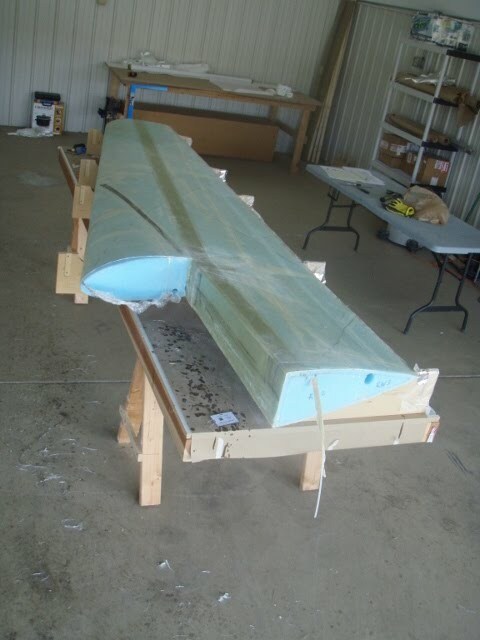 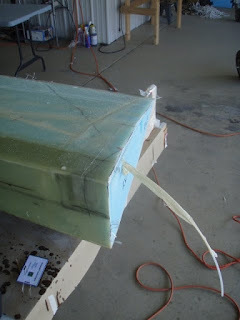 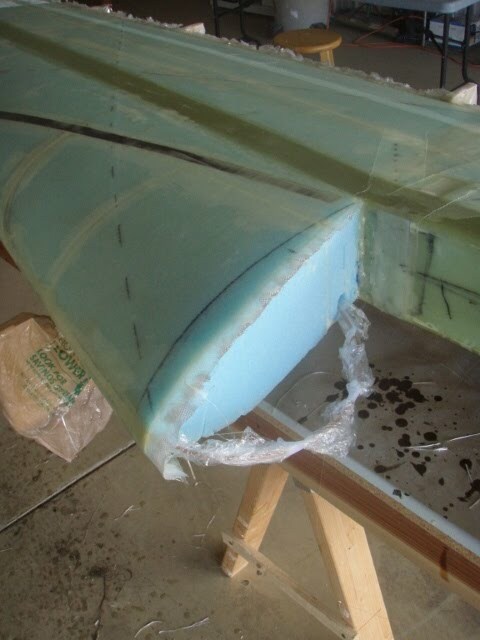 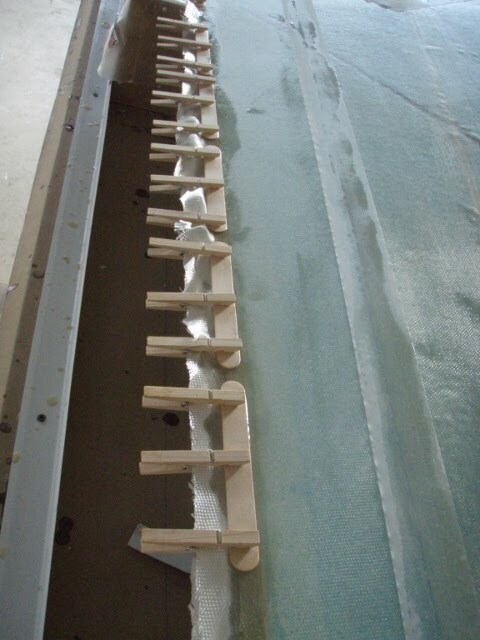 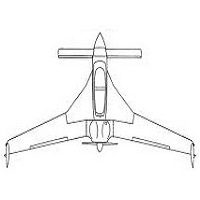 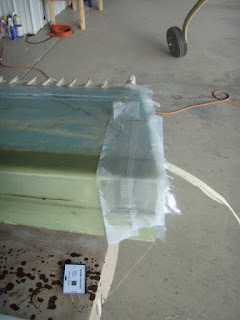 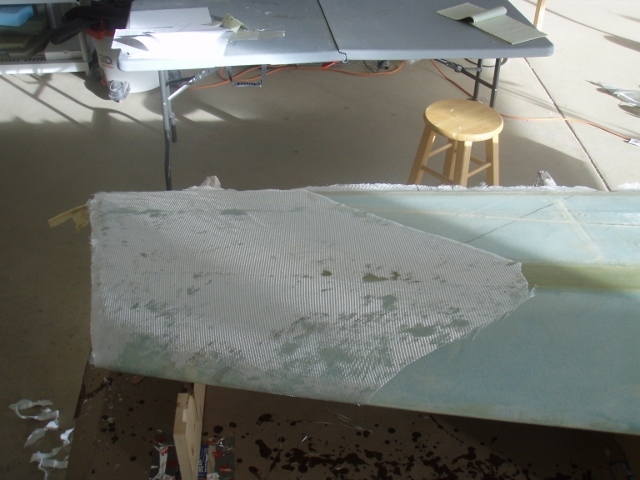 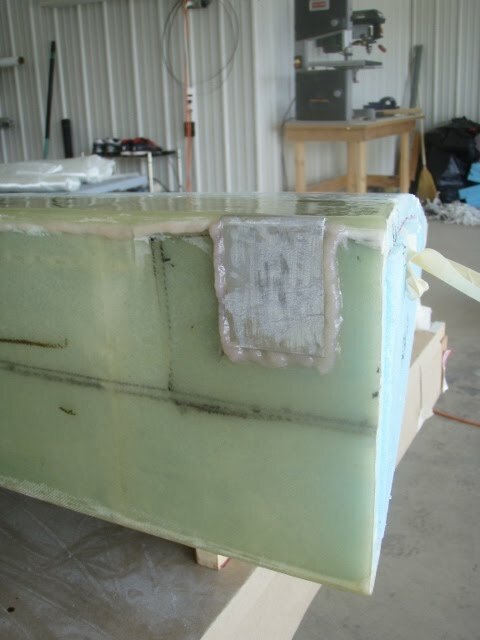 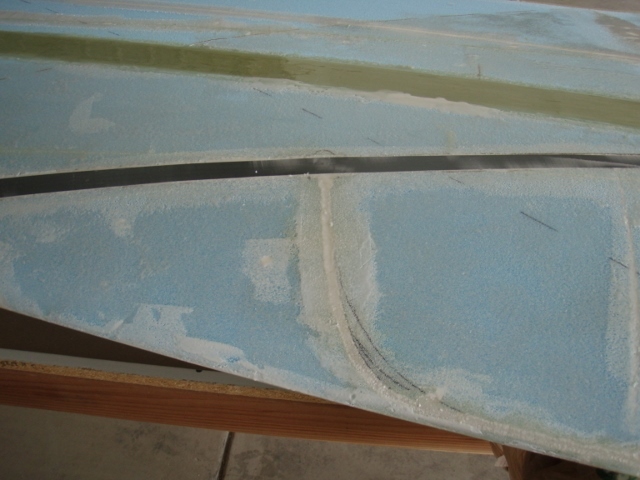 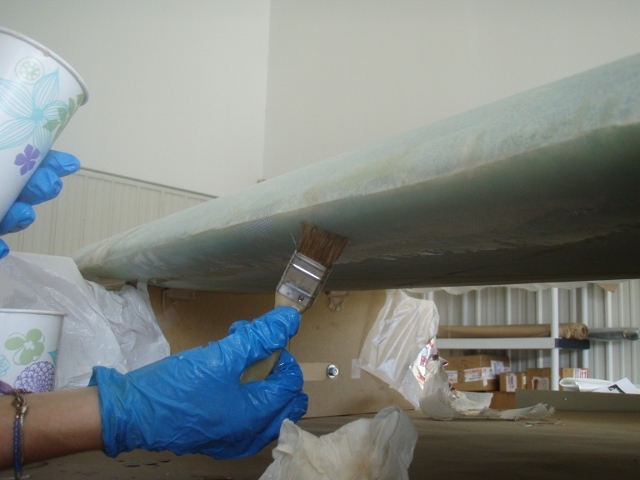 The plans state it is the same as the bottom layup, but with an additional UNI ply ran spanwise just forward of the aileron hinge line. 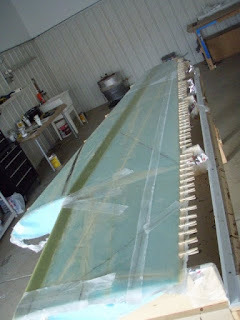 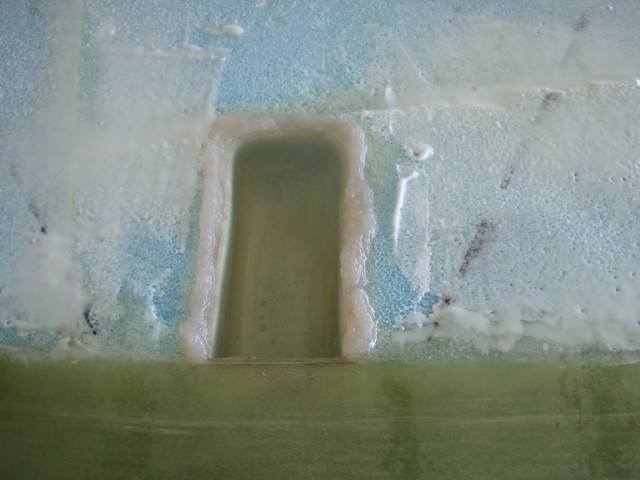 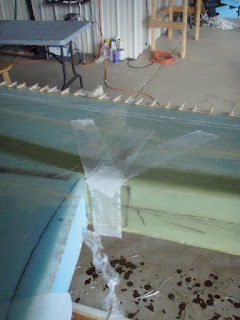 I started out by applying flox to the wing attach plates. 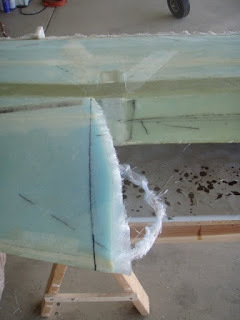 I regret having applied a flox fillet on the corner where the inboard rib meets the shear web wall. 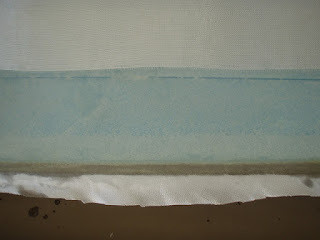 I thought I was going to tuck the UNI plies along this edge, but later realized that is not the case. 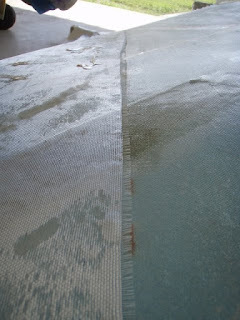 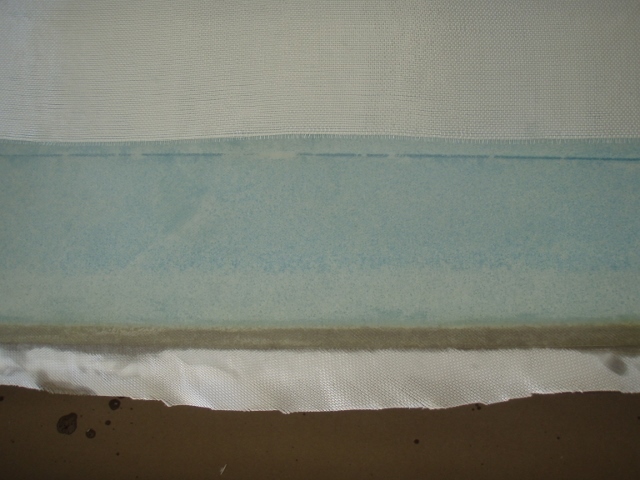 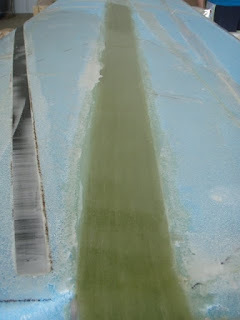 We then applied the second ply, crossing in the opposite direction (just like the bottom skin). 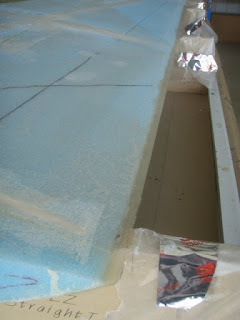 A little more peel ply here and there... and that's all she wrote! The right wing is almost there... 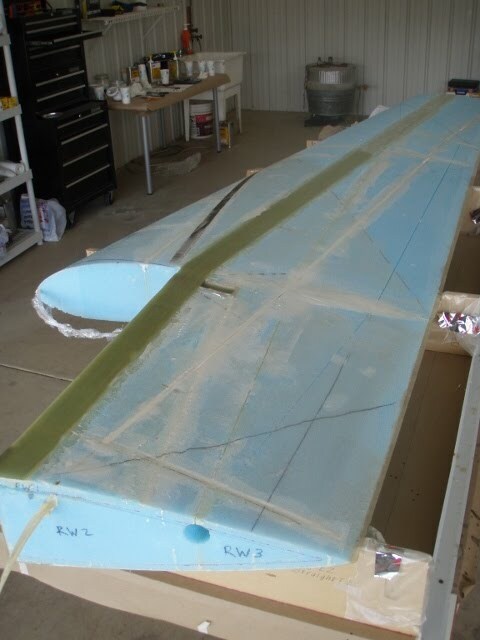 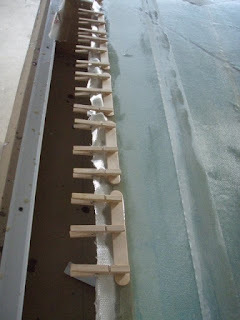 I still have to apply the attach point reinforcement strips, and inboard ribs.